If you like strategy games and you owned a PC in the early 2000s, then you’ve probably heard of Stronghold, a great RTS about organizing a strong economy, forming an army, and building a, well, stronghold to protect yourself. 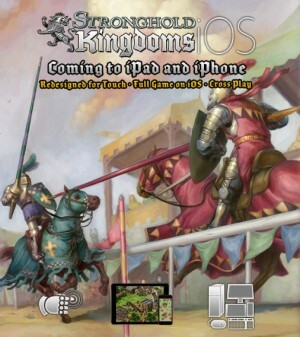 In 2012, a few years and few Stronghold sequels later, developer Firefly Studios made a F2P MMO version of the game, called Stronghold Kingdoms, and has just announced that it will be porting the game to iOS. 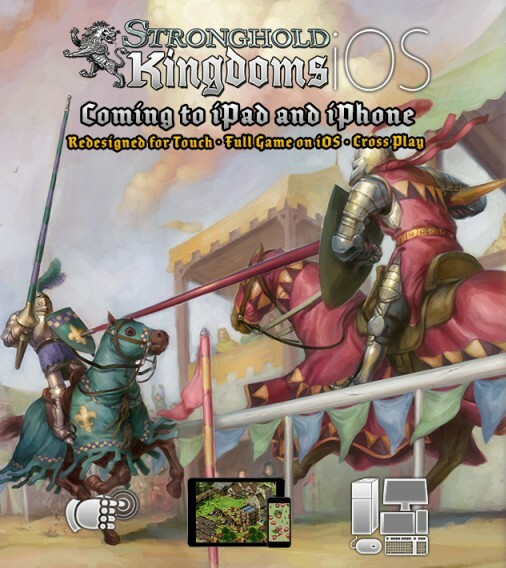 According to the announcement, Stronghold Kingdoms iOS will offer the same experience as the PC version but with a redesigned interfaced and, of course, cross-platform play between PC and iOS. While the isometric view makes the game look like Clash of Clans, Stronghold Kingdoms is more challenging than Supercell’s megahit. Since the game will be a full port of the PC version, expect the rather long timers and other similar F2P features of the PC version to make the trip to the land of iOS too. As I’ve said many times, I have no issue at all with F2P done well, but some of the reviews of the PC version complained about very long waits and possibly pay-to-win elements in the form of powerful strategy cards. Hopefully, when the game does come to iOS the F2P elements don’t interfere too much with the admittedly interesting gameplay. We have no estimates about when the game will be hitting your phones and tablets, but as the new version is supposedly being built specifically for mobile devices, it might take a while.